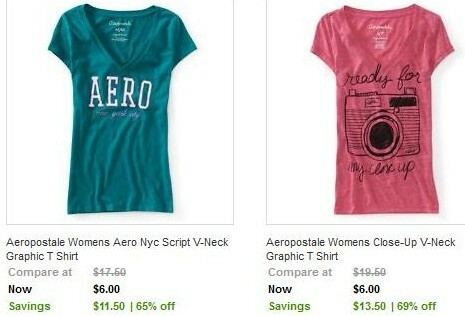 Aeropostale Tees only $6 w/ Free Shipping! Wow, head over to eBay's Fashion Vault to find TONS of Aeropostale fashion tees for just $6! Even better, they all ship for free! You'll find these in the Back-to-School Fashion Event, along with lots of other great brands such as Guess, American Apparel and more.